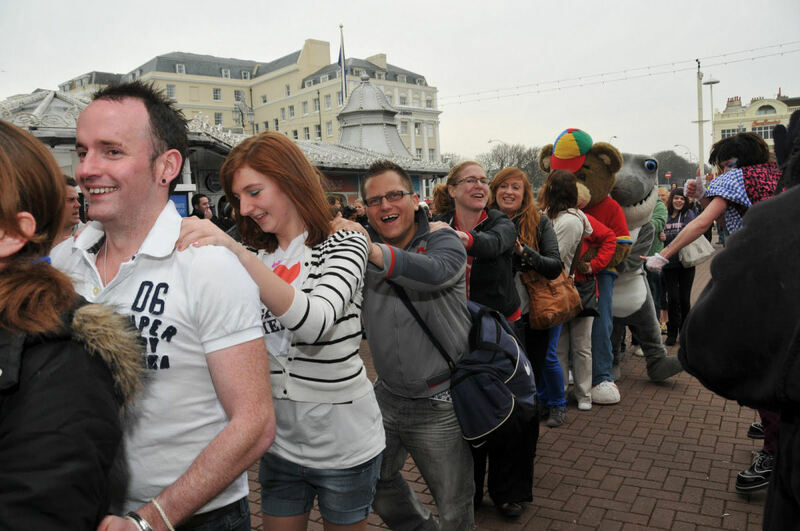 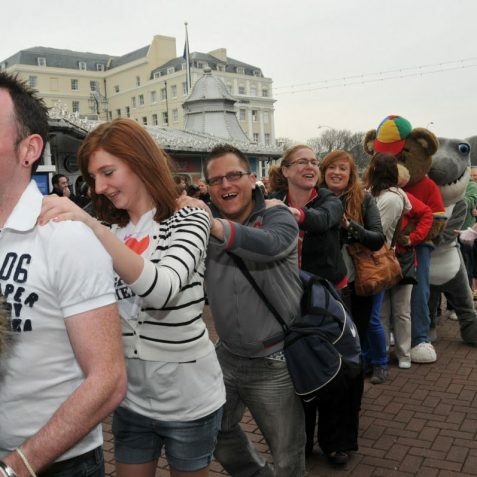 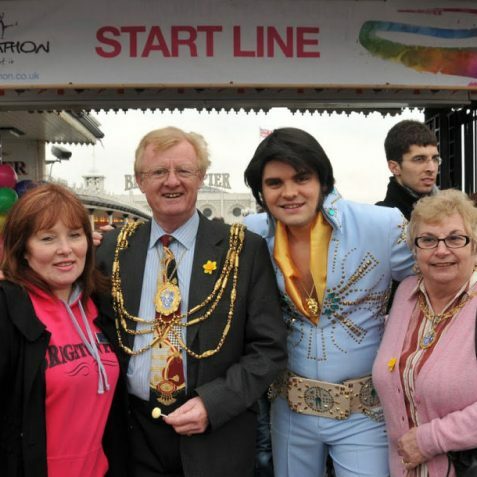 On Brighton Pier this week a national ‘Congathon’ launched the 2011 British Tourism Week. 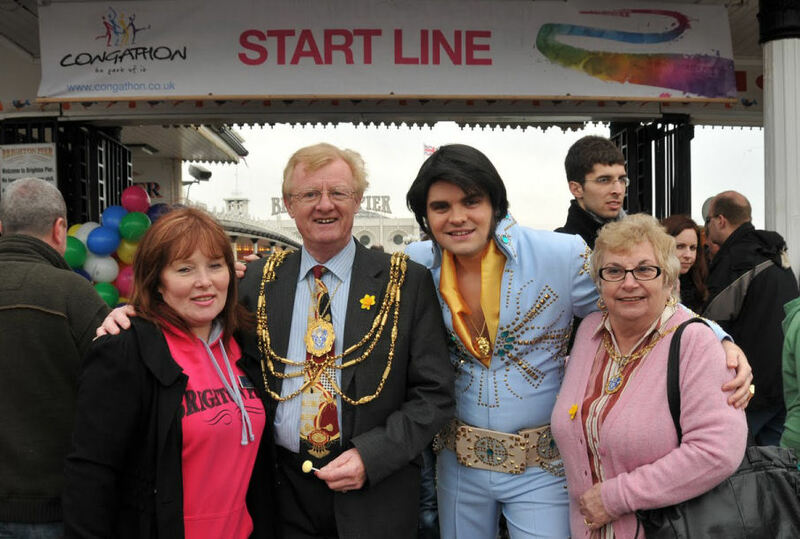 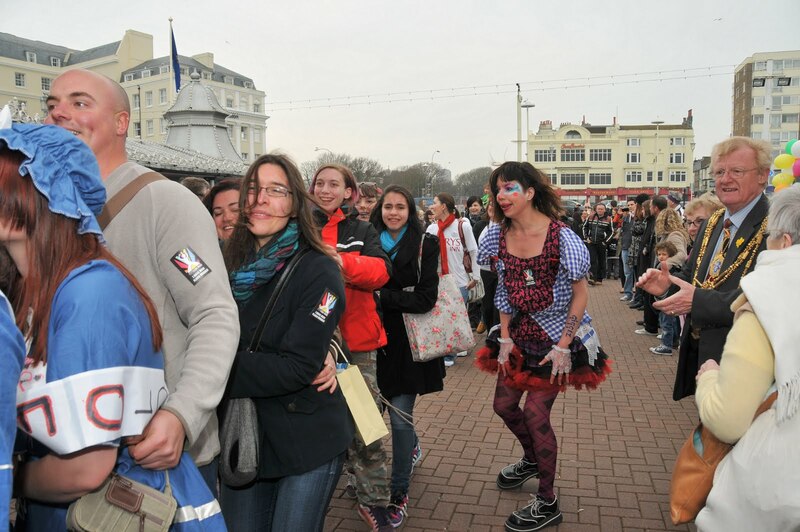 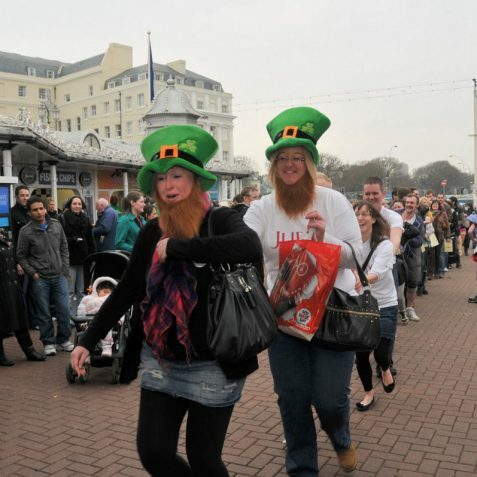 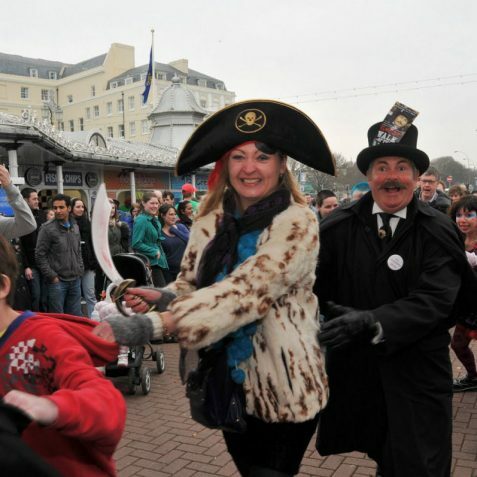 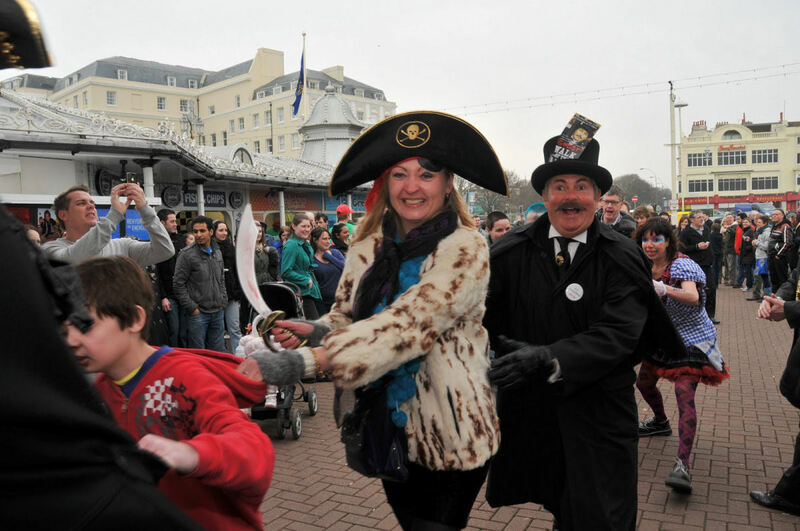 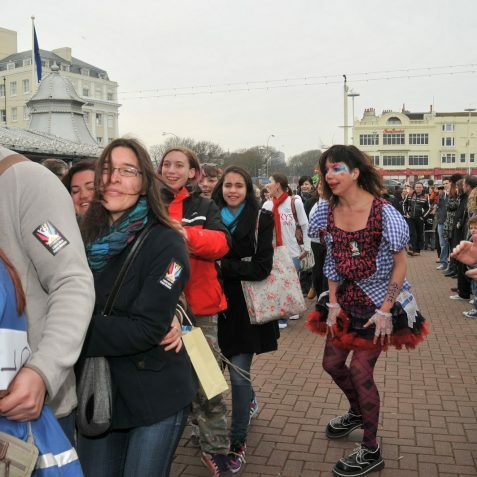 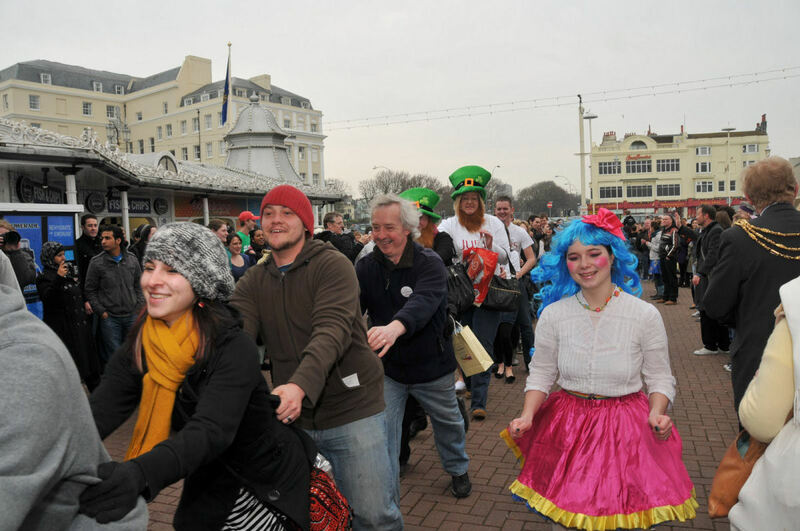 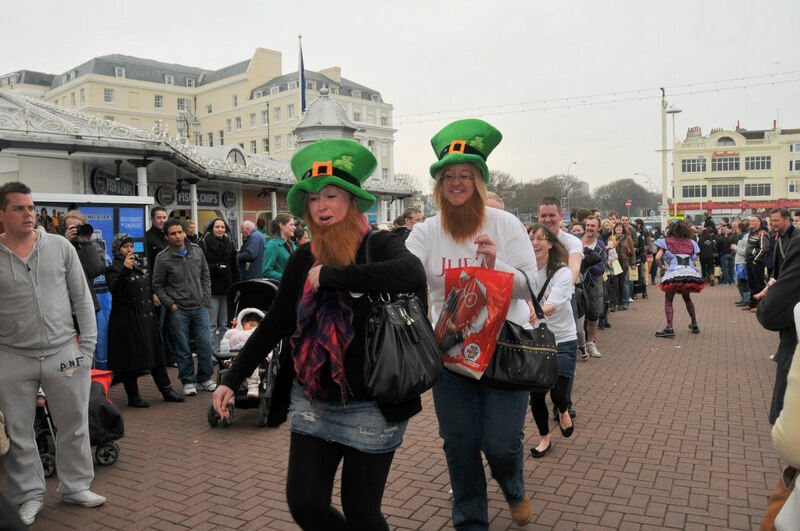 The event was co-ordinated through VisitBrighton and the National Pier Society, and money was raised for Macmillan Cancer Care. 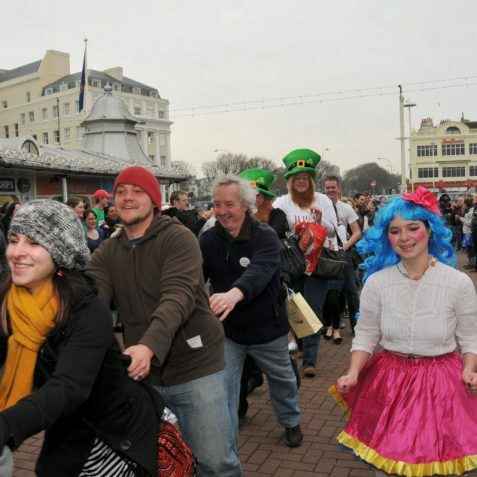 An amazing 2472 people registered at the event, with a further 300 joining in the fun to conga around the pier. 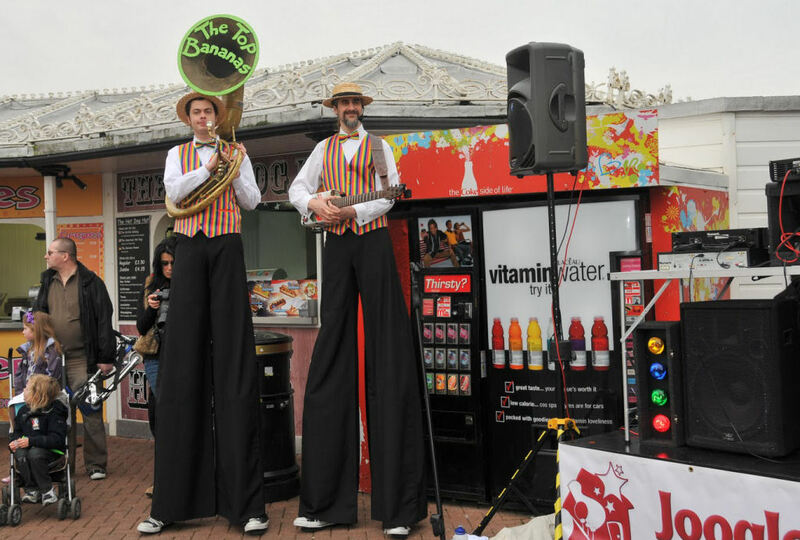 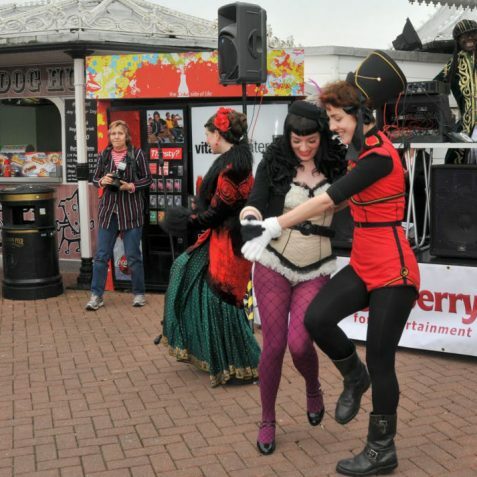 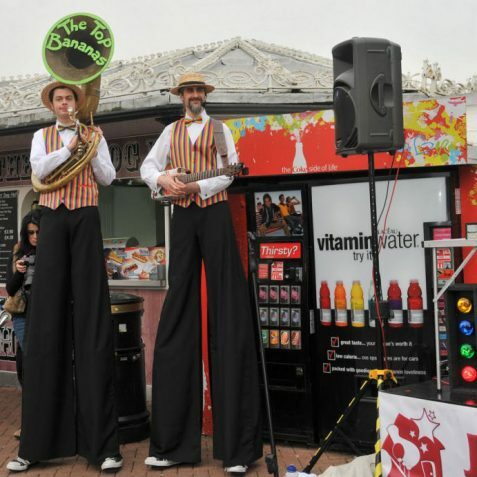 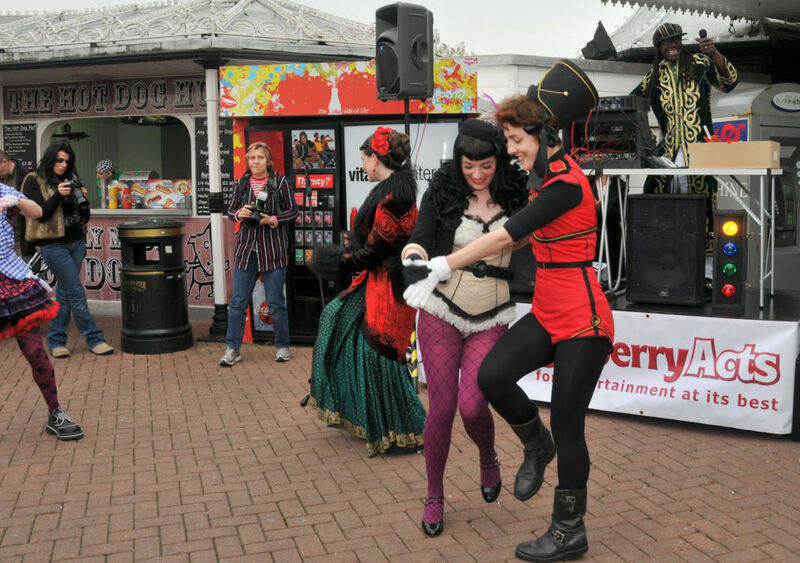 Entertainment on the day ranged from two Elvis impersonators, the Top Banana’s, a MJ impressionist, the Fantastic juicy dance crew, Gizzie the Clown, a uni-cycle street performer and many more of Brighton’s best characters. 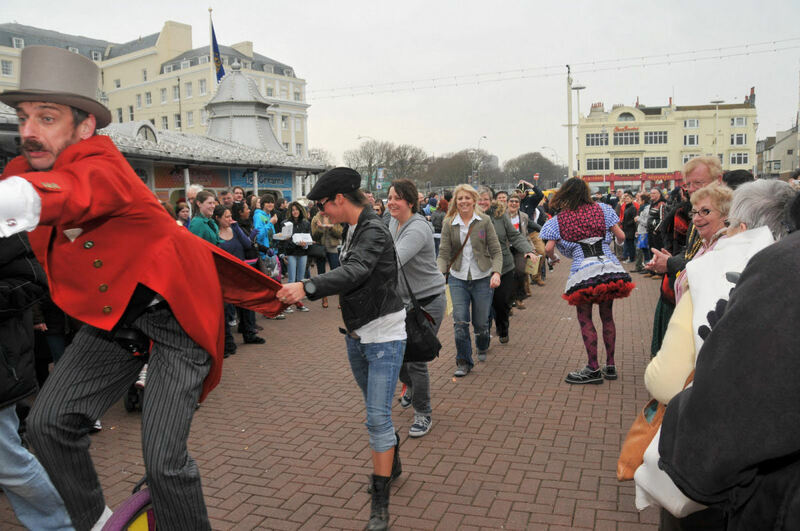 There were prizes for the best costumes and the largest groups. 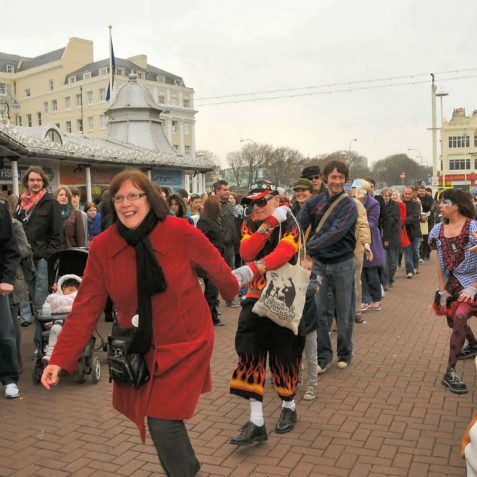 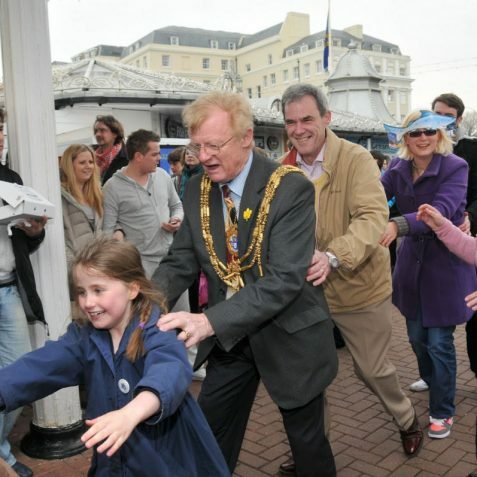 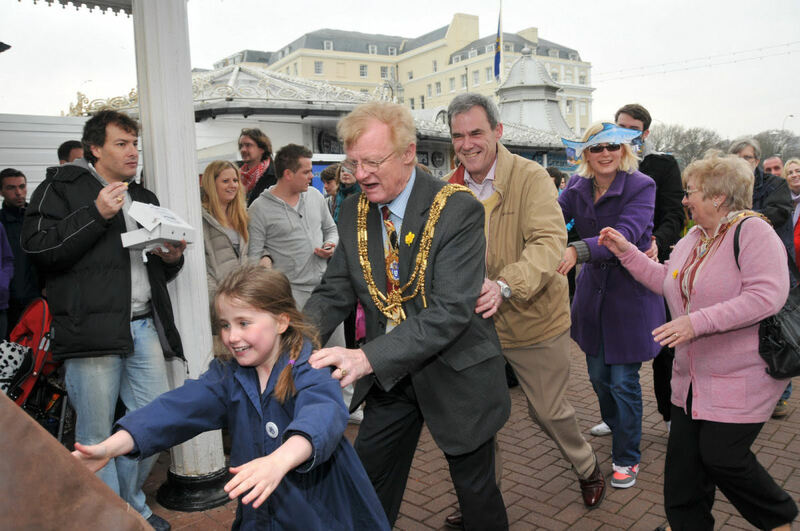 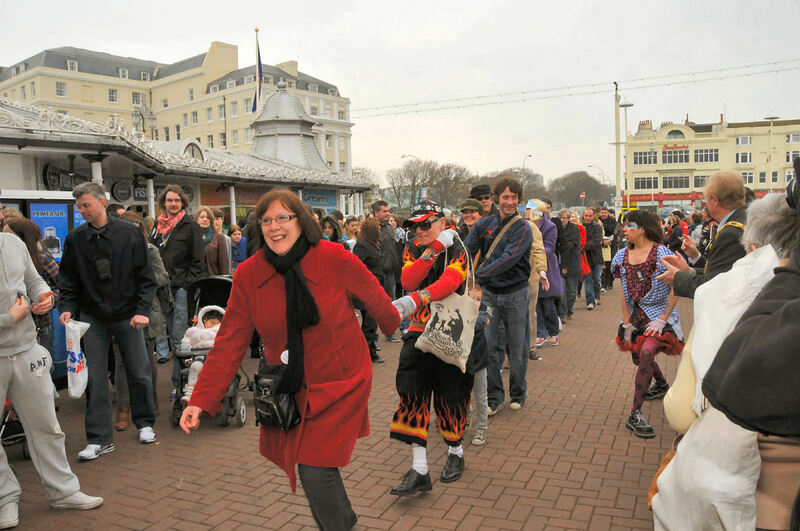 Joining the conga throng was the Mayor and Mayoress of Brighton and Hove, Councillor Geoff Wells and Mrs Sally Wells, together with Brighton and Hove’s Chief Executive John Barradell. 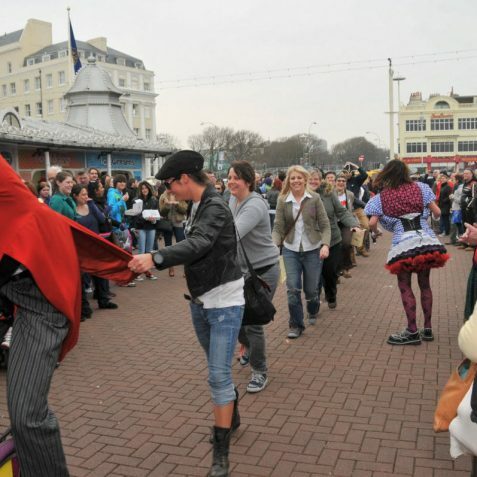 Even the lately unstable weather held out and a great day was had by all.